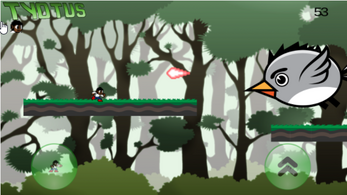 Join Tyotus as he runs through the forest, dodging and shooting evil birds! 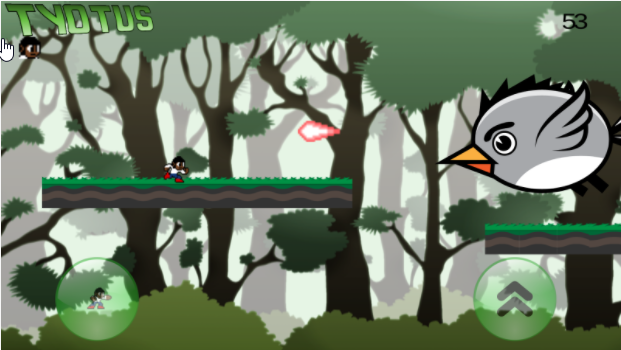 Screenshot your score and challenge your friends! 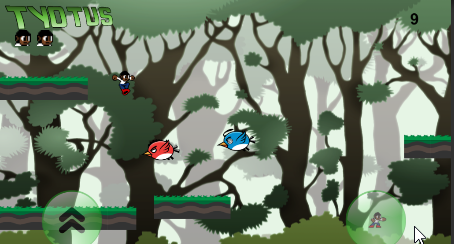 Hard: Shoot once every 0.3 seconds, a LOT of birds!